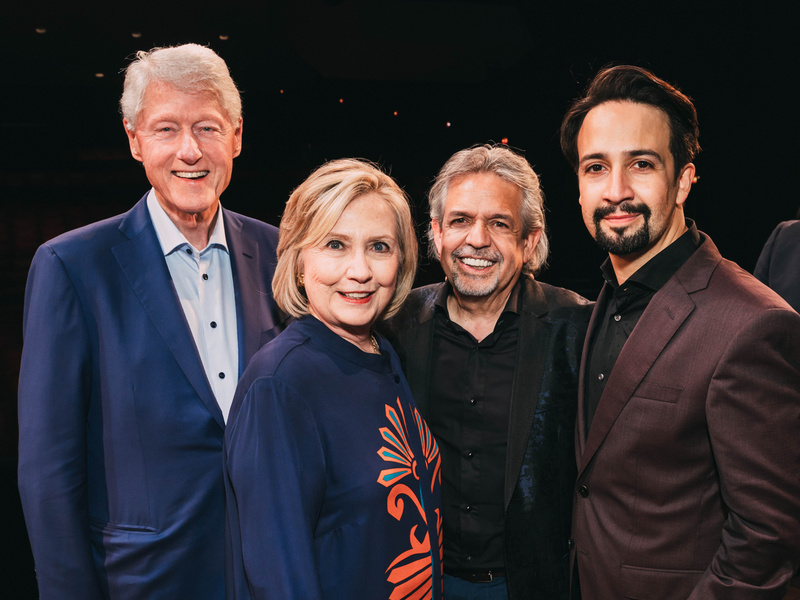 VIPs like former POTUS Bill Clinton and former presidential candidate Hillary Clinton toasted award-winning Hamilton creator Lin-Manuel Miranda at the final performance of the musical's Puerto Rico engagement on January 27 at the Luis A. Ferré Performing Arts Center. After the show, they toasted Miranda, who played his final turn in the title role before the production continues on its tour. 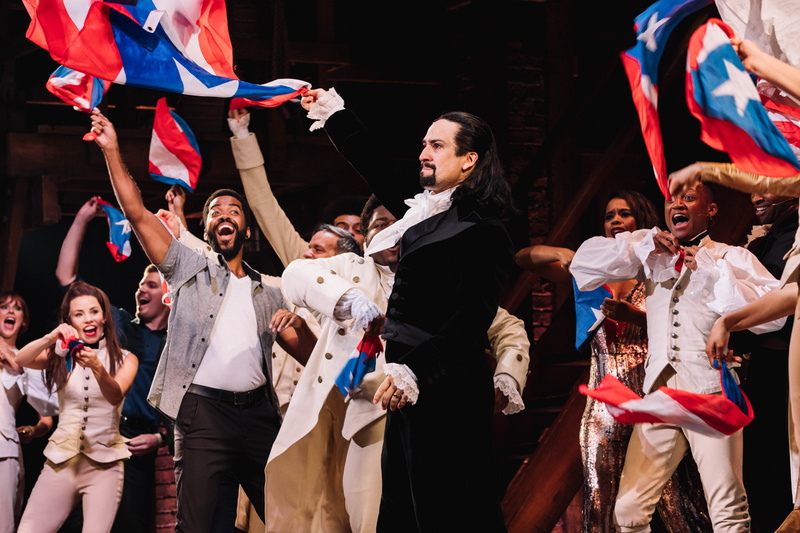 Check out the photos and make plans now to experience Hamilton in a city near you. 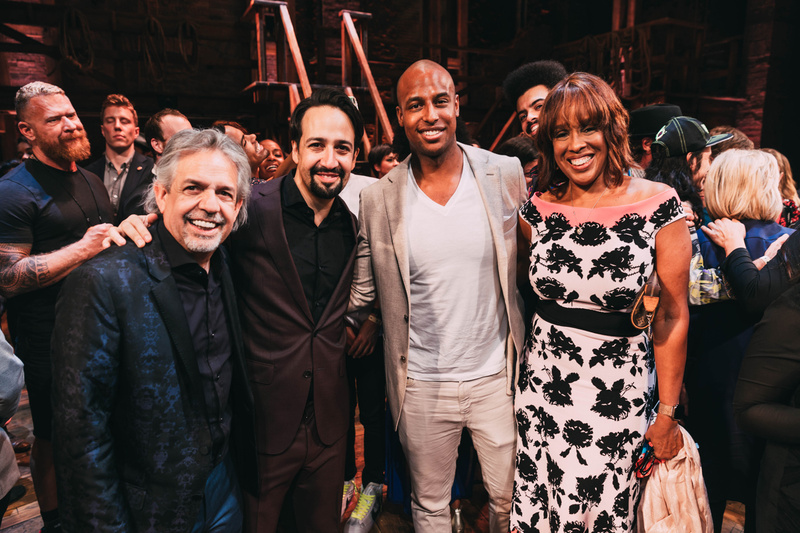 Luis A. Miranda and Lin-Manuel Miranda with acclaimed journalist Gayle King and her son William Bumpus Jr.
Lin-Manuel Miranda and the cast of Hamilton wave Puerto Rican flags during the final curtain call in Puerto Rico.